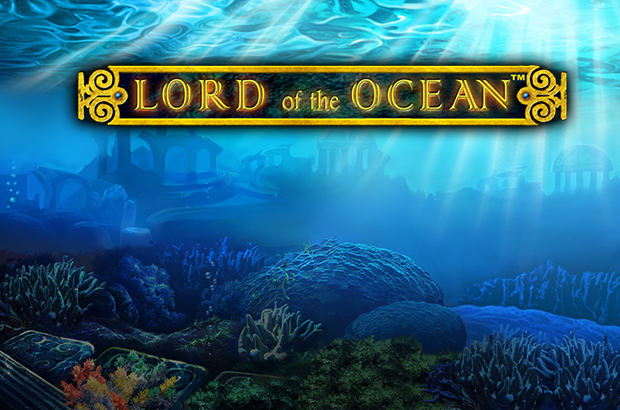 Play Highroller Lord of the Ocean™ online for free now! Who hasn’t dreamt of ruling the Seven Seas? Well, not only can you make this dream come true in our online casino, but you can also go all in, for we have released a special high roller edition of the slot hit Highroller Lord of the Ocean™ online. That’s right, the classic is now available with even higher winnings to ensure you can live up to your reputation as a true high roller. So, take a deep breath and dive down to the fascinating underwater world of this phenomenal slot, where mermaids may show you the way to gigantic sunken winnings. And to make sure you know what to do when you get there, we’ve put together the following tips. First of all, it’s important to know that although the symbol of Poseidon himself yields the biggest winnings, both the Mermaid and Statue symbols also deliver impressive prizes. Your aim in Highroller Lord of the Ocean™ is to line up three, four or five matching symbols along ten win lines that run across the five reels from left to right. The only exception is the Scatter symbol (Gate), which pays also from right to left and substitutes for all symbols in the regular game. 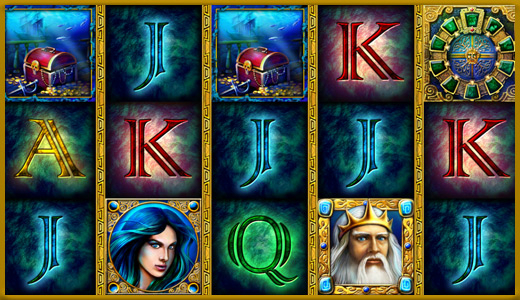 And there are even more stunning symbols in Highroller Lord of the Ocean™ online that need only appear twice on a win line to yield winnings: Poseidon himself, the Mermaid, the Statue and the Chest. In Highroller Lord of the Ocean™ online the line wins are multiplied by the stakes per win line. Winnings achieved with Scatters are multiplied by the total stake. Moreover, Scatter wins are added to your line wins. This feature of Highroller Lord of the Ocean™ makes waves, for it gives you the chance to win masses of Free Games. If you get three, four or five Gate symbols anywhere on the reels, 10 Free Games will be triggered. Before they begin, a special symbol is be selected at random. If this Bonus symbol appears in the Free Games, it will replace every other symbol on its reel. The current stake will then be used to determine your winnings. Sounds divine, right? The main prize in Highroller Lord of the Ocean™: 50,000 times your bet per line! The mighty Poseidon is bound to be looking down at us from Mount Olympus with envy, for the classic title Highroller Lord of the Ocean™ is more than worthy of an ancient god. Do you have what it takes to follow in the footsteps of the ruler of the Seven Seas, to become a high roller god and raise your account balance to the heavens? With a little luck, you can haul ashore magnificent winnings, as this vintage slot gives you plenty of chances to line up winning combinations. Enjoy Highroller Lord of the Ocean™ – our lucrative high roller spectacle that will entertain you with the finest gameplay around!